With just four ingredients, MyHavtorn of Sweden Facial Oil is among the elite minority of luxury, minimalist beauty products that has captured — and held — my interest. MyHavtorn of Sweden Facial Oil has been my daily moisturizing oil, in combination with a vitamin C serum, for the past month or so. 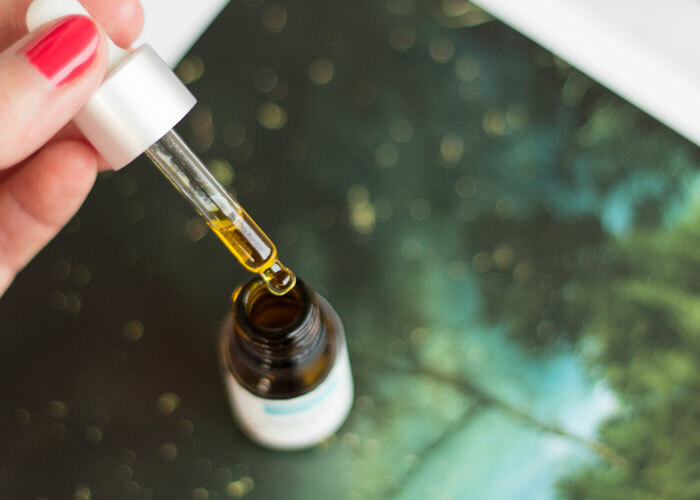 I apply 3-4 drops of this gorgeous, golden oil into a dollop of serum, emulsify and then massage onto my face for a light cocoon of moisture that my skin absorbs so well. Though sea buckthorn’s amazing color applies clear to the skin, I can’t help but notice — all in my head or not — that my skin has this golden glow to it once the oil sinks in. This makes me feel good as I prep my skin for a light layer of BB cream or heavier foundation, depending on my skin’s needs. MyHavtorn of Sweden Facial Oil is the perfect illuminating primer; try mixing it with your tinted moisturizer for a sheer glow, or use it to thin out a thicker coverage foundation so that the “good skin” can show through a bit more. The scent of this oil is lightly sweet, though I can’t recall if pure sea buckthorn berry has that scent on its own. I don’t pick up any nuttiness from the argan or camphor from the rosemary. Avocado oil doesn’t really have a distinct aroma on its own to me, so I can’t detect anything there, either. 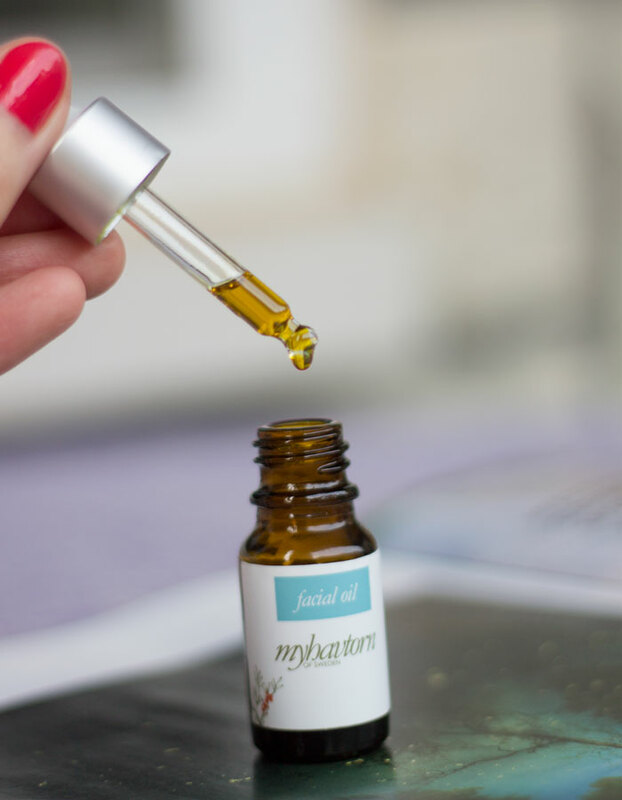 Sea buckthorn oil is the star ingredient in MyHavtorn of Sweden Facial Oil. It’s rich in vitamins and essential fatty acids and has been used to treat itchy eczema and sun-damaged skin for years. Composed of 50 percent sea buckthorn oil, MyHavtorn of Sweden Facial Oil prizes itself on using fresh-pressed, hand-picked sea buckthorn berries grown on an organic family farm on the coast of Sweden. MyHavtorn notes at the end of its ingredients list that “All ingredients are organically grown,” but doesn’t mention any certifications to back this up. The above information is taken from the brand’s website. If certified organic is important to you, keep this in mind. 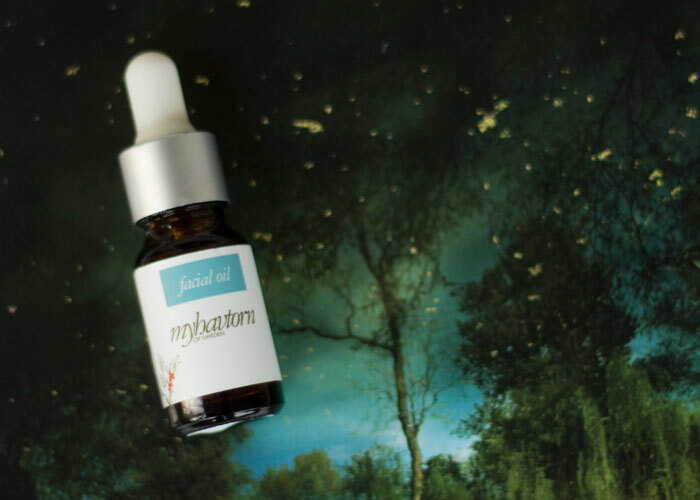 In addition to sea buckthorn oil, MyHavtorn of Sweden Facial Oil contains vitamin E-rich argan oil, a darling of facial oil enthusiasts, and avocado oil, another vitamin E-rich oil that offers deeper hydration without feeling heavy or greasy. I’m almost finished with my 10 ml dropper bottle (which equates t0 0.34 ounces). It’s taken a little more than a month of regular use, with some applications being heavier than others (4-5 drops). So let’s talk price and repurchasing. MyHavtorn of Sweden Facial Oil costs $50 for the 10 ml (0.34 ounces) size and $125 for 1 full ounce. On the one hand, I like that I can get through these smaller sizes a bit quicker, which feeds my desire to switch up my moisturizers based on my skin’s needs. On the other hand, it’s a better deal to get the 1 full ounce — but the $125 price tag is steep. It’s not out of line with the pricing of other simply elegant and thoughtful serums I adore, so it really all comes down to experience for me. I like the glowing effect it helps create when mixed with makeup, and I like the subtle scent that doesn’t compete with my daily toner. It’s very much in line with my growing desire for simple luxuries with well-edited ingredients and no-frills marketing. I’d like to learn more about MyHavtorn’s organic ingredient certification before repurchasing, if only for better clarity and transparency and simpler comparison to other products that may have similar ingredients but with organic certification. Do you have a favorite sea buckthorn berry-based oil or serum? Have you heard of or tried MyHavtorn? What’s your take on simpler formulations and organic certification? Tell me in the comments section!